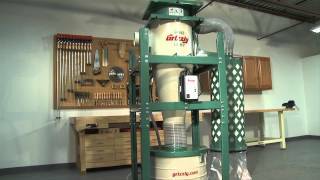 Many woodworkers are stepping up to a Cyclone Dust Collector to help improve the air quality in their shop! Why? 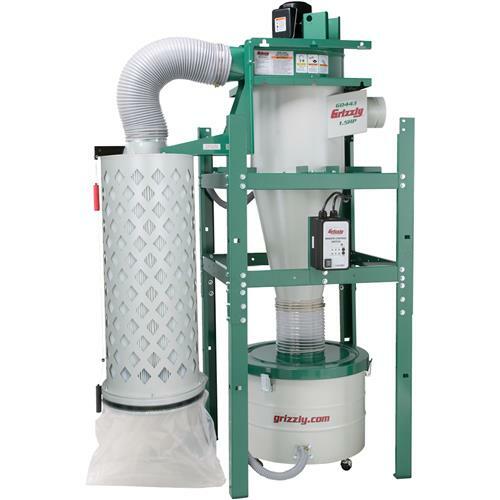 As the dust is collected, the cyclonic action forces the biggest and heaviest particles directly into the collection drum—before it even reaches the filter—thus only exposing the filter to the smallest particles. 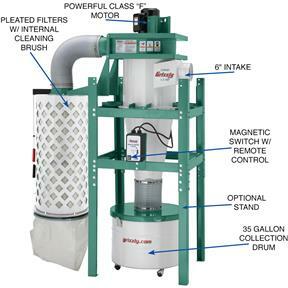 Not only does this result in cleaner air in the shop, but it also greatly extends filter life, which saves you money in the long run. 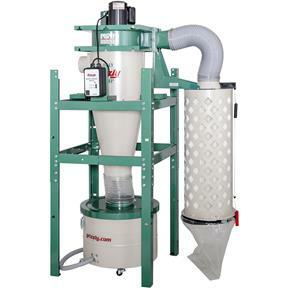 Our Model G0443 features a 1-1/2 HP 110V “class F” motor, 35-gallon steel collection drum on casters, remote-controlled magnetic switch, and a spun-bond polyester cartridge filter that captures 99.9% of particles from 0.2 to 2 microns in size. The filter is pleated, providing 96 sq. 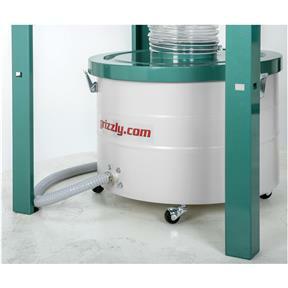 ft. of surface area for maximum air flow, and features an internal brush system that makes cleaning easy and fast. 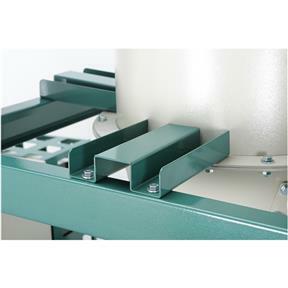 Out of the box, this machine is designed to mount to a sturdy wall so it takes up less floor space, or it can be set up as a free standing unit with the optional H7508 support stand. Max. static pressure (inches of water): 10.3"
Filter surface area: 96 sq. ft. Approximate shipping weight: 312 lbs. I purchased the GO443 back in December 2015. I chose this machine because of the size of my shop (400 sq ft) and that it is a cyclone rather than a single stage machine. My shop is small so I wall mounted it and raised it higher than standard to be further out of the way. Set up of the machine was tedious and time consuming, but after I had it set up, I had an electrician get the power to it. It turned out that the power requirements that came with the machine were underrated for the size wire I had running to the outlet so I had to upgrade to the 220v conversion kit. My biggest frustration was that I ordered the conversion kit in late December and it was out of stock until mid March. The amps this machine draws at 110v on start up are insane at 75 amps and then decreases down to 19, so if you plan on purchasing this machine, I would recommend buying the 220 conversion kit. 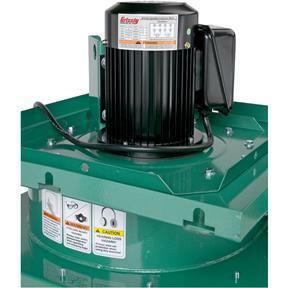 It operates much better on 220, and reaches full draw much quicker. 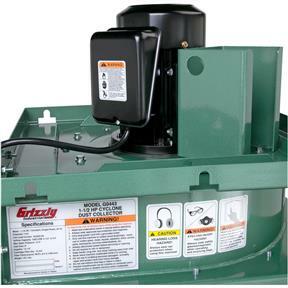 This is a very well built cyclone and operates amazingly with 6" metal ductwork also purchased through Grizzly. The dust reduction in my shop had drastically improved. Great machine! I decided on this machine based upon 3 basic criteria. 1. Mounting, 2. 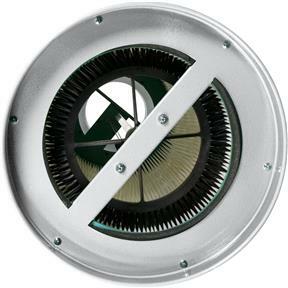 CFM at given H.P rating and 3. 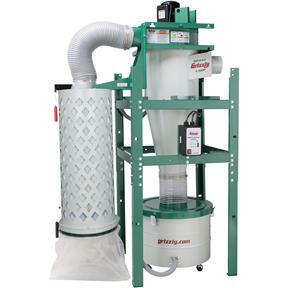 The filter cleaning system. While this machine met every aspect of my desires I became truly impressed by the very high quality of the unit's manufacture itself! 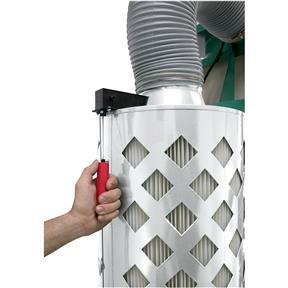 Once I had this duct collector mounted on the wall and turned it on I noticed two things. 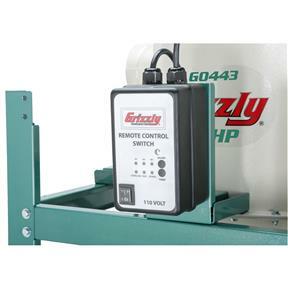 First the remote control is very direction-ally oriented and the mounting of the magnetic starter box is really too low to receive the input signal from certain places within my shop. A semi-solution to this was to relocate the Mag starter box up higher on the intake barrel (it simply required making a bracket to meet the differing bolt pattern. Afterward it works MUCH better from most locations within the shop. Now the down side. The instruction manual for assembly of this machine is virtually useless. Grizzly should expend a little - no a lot - of time to revamp this manual. there are several places within it that A.) do not correspond to the model I purchased, and B.) is just plain missing detail about certain nuances to this machine. It was at times seriously frustrating. I feel that the lack of information regarding the actual mounting of this unit to a wall is so that you'll give up and spend the extra $200.00+ to buy the metal stand instead. But as I stated already, Mounting (to a wall) was a very important feature in my choice for this unit. All in all, this is a really nice machine and much quieter than I had even anticipated! On that,......very good job Grizzly!